Table Tennis NSW will encourage all members to adopt the following practices to prevent, recognise and manage concussion. The 2018 Deaf Games were held in Albury Wodonga from 20-27th January. These games are the pinnacle multi-sport event for deaf people where over 1000 competitors compete across 15 sports including table tennis. Competitors come from across Australia and our Pacific neighbours. This year our own Trevor Boyle was selected as the NSW flag bearer for all sports at the Opening Ceremony. This is a great honour and comes after his many years of involvement in both table tennis and squash. Trevor has also been on the Deaf Table Tennis and Deaf Squash Committees for over 30 years. In the overall results NSW and Victoria each topped the medal count with 78 medals each. NSW had great results in table tennis. Leslie Noonan won gold in the Ladies Singles with Maureen McDougal picking up the silver and Jitka Navratil winning bronze. In the Men’s Singles Trevor Boyle won silver and Henry Anastasi won bronze. Trevor and Henry went on to win the gold medal in the Men’s Doubles narrowly beating our arch rivals of Victoria. Leslie and Jitka won gold in the womens Doubles and Henry and Jitka won gold in the Mixed Doubles. Congratulations on a stunning effort from these NSW Veterans players. 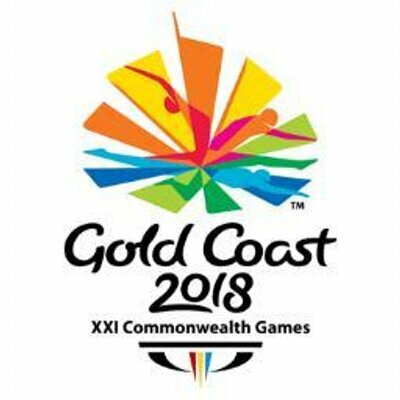 The Deaf Games give those deaf and hearing impaired players an opportunity to compete at a National level and NSW Veterans congratulates all those players who competed and gave of their best for this event. We are very fortunate in NSW Veterans to have a number of top level athletes with disabilities playing in our Veterans Challenge competition. I am delighted to also advise that Stephen Gillespie has been recognised by Table Tennis Australia as the 2017 Official of the Year for his work in not only NSW but Australia and overseas. As TTA finalises its staff restructure, we are now calling for applications for two new positions - namely the National Participation and Development Coordinator, and the National Operations and Events Coordinator. Both roles do not necessarily need to be based at the TTA National Office in Brisbane. TTA is seeking the services of a highly skilled and passionate team player for the newly created position of National Participation and Development Coordinator. Reporting directly to the Interim CEO, the National Participation and Development Coordinator will play a crucial role in creating sustainable table tennis pathways and expanding the participation and membership base. TTA is going through a period of change that has resulted in a need to streamline our operations. The National Participation and Development Coordinator will manage the day-to-day operations of the National Participation Program, plus work collaboratively with the Australian Sports Commission, TTA departments, State and Territory Associations and other key stakeholders. This is an outstanding opportunity for the right candidate to work in a National Sporting Organisation and gain exposure to an area of the business with high growth opportunities. This role provides a chance to make a tangible difference to the lives of people and utilise table tennis as a vehicle to generate positive social impacts. The fast-paced nature of the role calls for exceptional time management, outstanding communication skills and an outcomes focused mindset. TTA is seeking the services of a highly skilled and passionate team player for the newly created position of National Operations and Events Coordinator. Reporting directly to the Interim CEO, the National Operations and Events Coordinator will be a key pillar in ensuring TTA meets its strategic goals and objectives. TTA is going through a period of change that has resulted in a need to streamline our operations. The National Operations and Events Coordinator will provide operational and administrative support across all TTA departments (High Performance, Para High Performance, and Participation), plus oversee national level events. Finance related administrative tasks also form part of this role. This is an outstanding opportunity for the right candidate to work in a National Sporting Organisation and gain exposure to every facet of the business. The fast-paced nature of the role calls for exceptional time management, outstanding communication skills and an outcomes focused mindset.